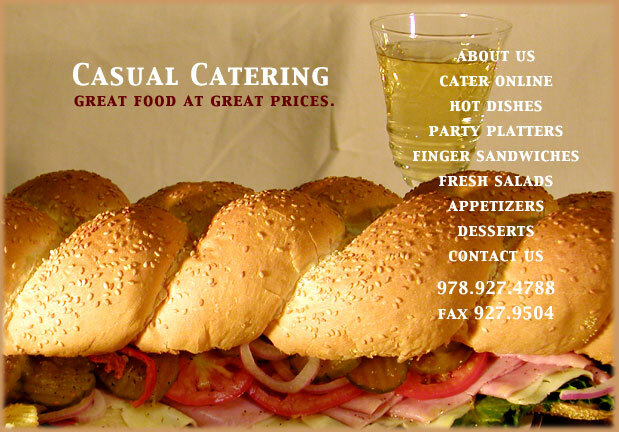 Paul Guanci opened Casual Catering in 1993 and has been serving great food ever since. Casual Catering is located at Super Sub Shop in downtown Beverly. The Super Sub Shop has been family owned and operated since 1970. Whether you are having a small event at your home, a large event at a hall or your office, we can accommodate all your needs. We use fresh homemade tomato sauces, only quality fruits and vegetables. We have fresh bread and delicious Italian pastas delivered everyday to our store.